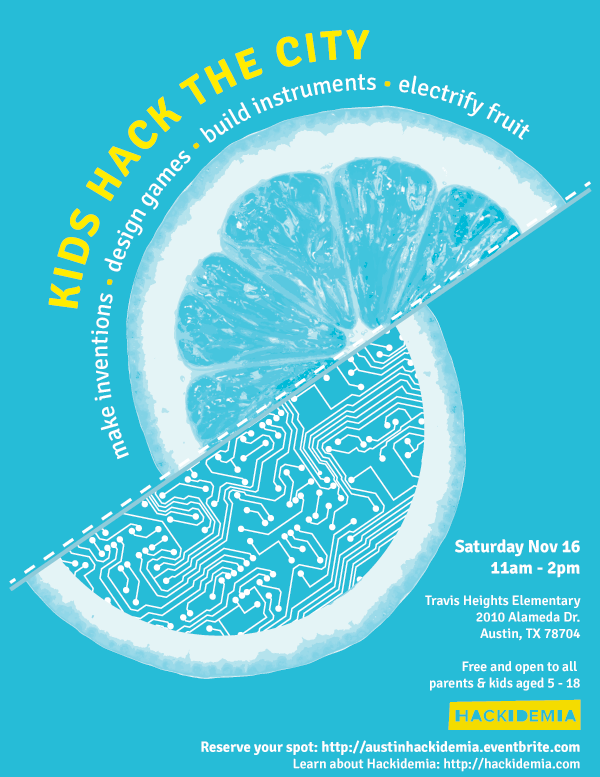 Travis Heights Elementary School > School Event > Kids Hack the City – Hakidemia event at THES! Hackidemia is a mobile invention lab that enables future changemakers to access and create a hands-on science, technology, art, engineering and design education that will enable them to solve challenges by developing and testing creative solutions and physical artifacts. We believe curiosity, empathy, and play can change the world. For more information on Hackidemia and Hack the City with Kids, please visit Hackidema.com. Travis Heights Art Trail – This weekend!